When there’s an issue with your engine, finding the cause of that problem can be difficult considering how complex modern engines are. As vehicles become more advanced, we rely on specialized engine diagnostics equipment to find the problem and fix it. Here at University Chevron, we know how important it is to find problems quickly, as you save time and money doing so. Without proper engine diagnostics, small issues can grow to become serious problems that ruin your vehicle. Get at them early to save yourself a headache, come to University Chevron. 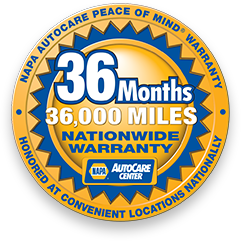 With over 38 years of experience and ASE Certified technicians, you can rest easy knowing your vehicle is at its best. Call us, stop by, or schedule an appointment online today.